An organization chooses to implement Six Sigma to effectively manage its available resources and time. Reducing material wastage, a company can produce more output with the same input, thereby increasing its efficiency. With a proper Six Sigma approach, there are fewer defects, less rework leading to reduced time, high revenue, and minimal costs. 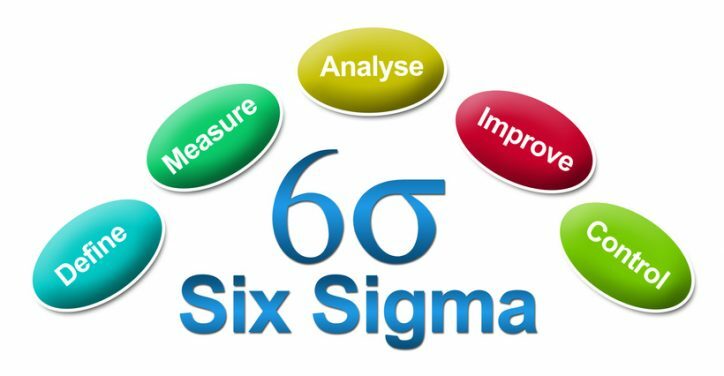 To perceive the full prospective of Six Sigma, a company needs to tread on the heels of the DMAIC (Define, Measure, Analyze, Improve, and Control) process gingerly. Listed below are some mistakes that happen often while tracing the Six Sigma approach. These can be avoided with proper measures. When realizing the benefits of Six Sigma, teams are sometimes expected to perform in unrealistic ways. A team`s competence can be overestimated, and they might be stipulated tasks out of their knack and caliber. Individuals are at times burdened with more work, so the process gets affected with respect to time and quality of work, and the success of the project can suffer. For the correct selection of projects, the business’s financial goals, production estimates, and customer service goals can help prioritize which project to take on. Management can be requested to provide resources necessary to tackle the assigned project. Also, teams should not be assigned work outside their orbit. Training workshops can be conducted in regular intervals for proper identification of projects. While assigning tasks, every individual should be assigned equal work. The team can be informed on how closely each activity is linked with each other and the business as a whole. A team working on a project can find themselves feeble if there is no one to show direction for a problem. Without the involvement of higher authority, the complete project can be in limbo. The support should be there at each level. Just making the resources available, having good intentions, and putting effort and time may not be adequate. Even a lack of support from stakeholders can cause disappointment among the project members. With the support of a leadership, it can be easy to remove obstacles and get support whenever needed. It is beneficial to have fair communication between members of the organization. A pinch of inspiration helps an individual to perform to the best of his or her ability. 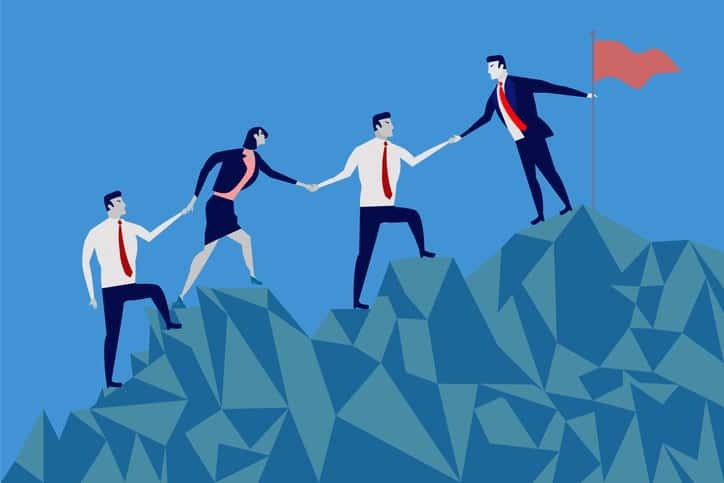 Proper leadership provides strong support, emphasizing the importance of Six Sigma and setting the example for the entire crew. If the financial value of the project is promoted by making arguments in terms of money, it helps get people’s attention. In review meetings, deployment progress should be discussed minutely. The stakeholders should grant the initiation approval so that it becomes easy to overcome the project goals. A team in a particular project should have members who are able to act according to their project’s needs. Companies usually do not maintain this due to limited resources and time. When the project team lacks the availability of a correct team member, the project can get delayed, and the quality might not be up to the standards. If the team is not provided with key resources, whether it be finances, man power, technology, etc., the success of the project comes into question. While selecting a team for the project, it is important to include members from various departments as needed. If, while in a team, members are unable to engage full-time, you can make them support members who may pitch in views when demanded by the project. Involve higher executives in the project. This can help in making last-moment improvements. For making the resources available on time, it’s better to have inventories listed prior to the project commencement. If the strategy is faulty in the beginning, it will affect the process down the line. So, by evaluating and analyzing the strategy and making appropriate changes based on data, chances of success are enhanced. Training is an essential factor, so members are sometimes overtrained to perform their work. Pressuring for overtraining culminates in a lack of focus and causes distraction. It is possible that members lose the basics of Six Sigma if they are bombarded with a lot of new information. Giving extra training to members won`t satisfy the project. Roles and responsibilities should be divided appropriately as per the training acquired. Adequate mentoring can be provided to people who need extra support. Steps should be taken to make available the right knowledge to the right people at the right time. An organization may know that a Six Sigma project is needed, but with this information alone, businesses cannot be completely sure. If the business’s potential is not calculated in the initial stage, the project can collapse. Not being able to think broadly can be another reason for failure. If the Six Sigma project is not concerned with the company’s goal, it can be irrelevant. At times, Six Sigma is used as a tool to show power or to achieve a hidden agenda. Being used this way for short term benefits, the efforts of the team can suffer. The potential impact of the project should be calculated in the initial steps of DMAIC. This will assure stakeholders are on the same page with the project, and it can be an inspiration to the team, helping them achieve the best solution. To be in line with the scope, identify the key objective of the project and list the problems involved and how they can affect the company. Select and implement a Six Sigma project that is in order with business objectives. Six Sigma deployments should be as per the business results. Strategies have to be monitored closely and information should be shared across the organization to implement corrections quickly. Projects should be assigned on commonly agreed organization goals and not on personal interests of few individuals. Being a new member or an experienced one, mistakes are inevitable in complex projects. It’s always good to learn from one’s own mistakes but it’s smarter to learn from other’s mistakes. Identifying mistakes brings long term benefits for any organization. Success comes from identifying these mistakes during the project’s starting phase and working to remove them in that initial phase itself. This is an opportunity for the Six Sigma team to escape from the same trap that others have already faced.